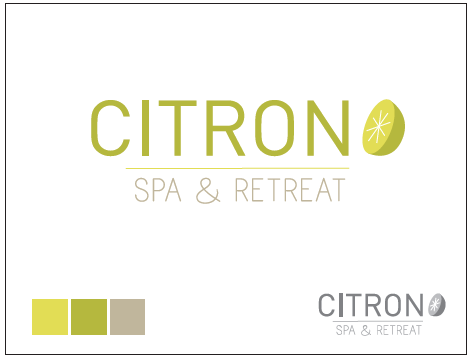 Objective: To design a brand identity system for a new spa for women specializing in all natural products and promoting a healthy lifestyle. Process: Students start out by creating mood boards, brainstorming and developing the brand identity. For the website, the planning starts with a sitemap and wireframe, then web layouts. Finally a promotional item was required to serve to build brand recognition and word of mouth advertising.